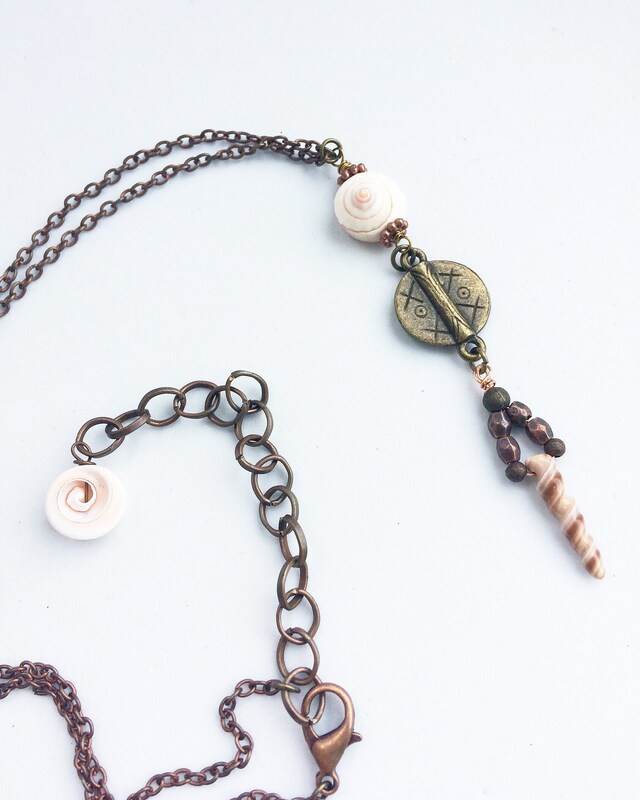 A unusual boho necklace with shell beads. 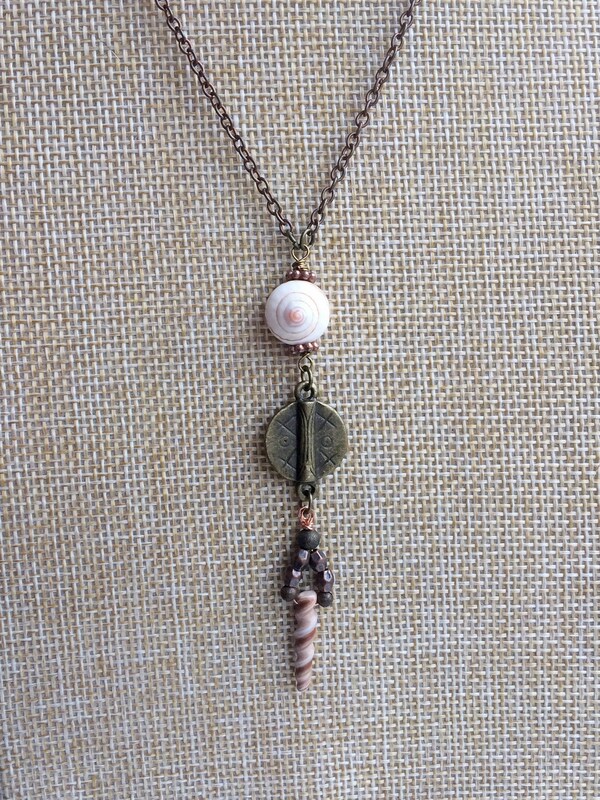 I made this with the beach in mind and it has a longer chest length, worn as a trendy ethnic statement piece (think beach/festival). 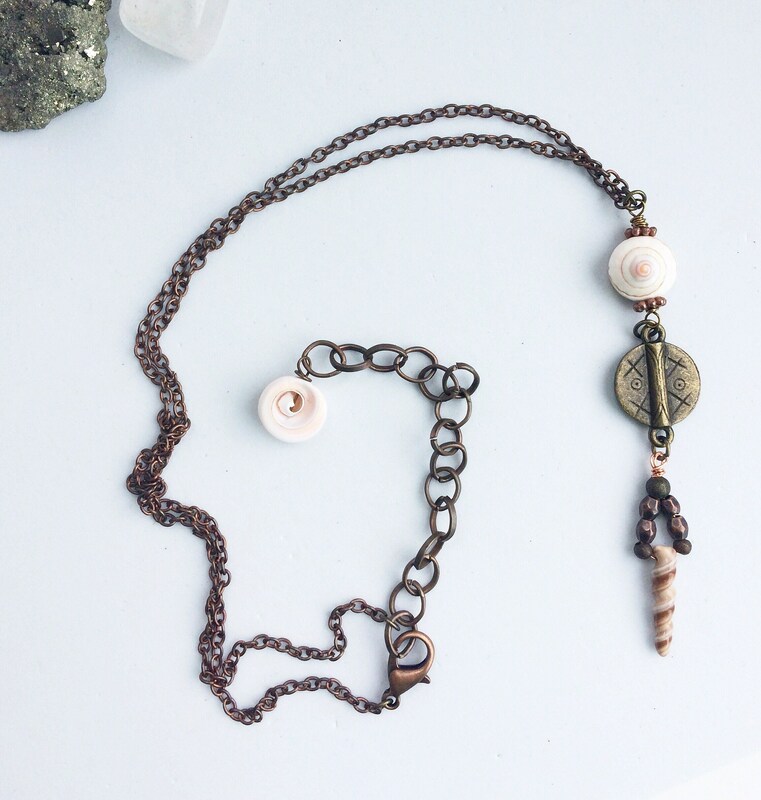 The necklace has a 9cm extension chain with wider copper links meaning the fit is adjustable (up to 57cm). 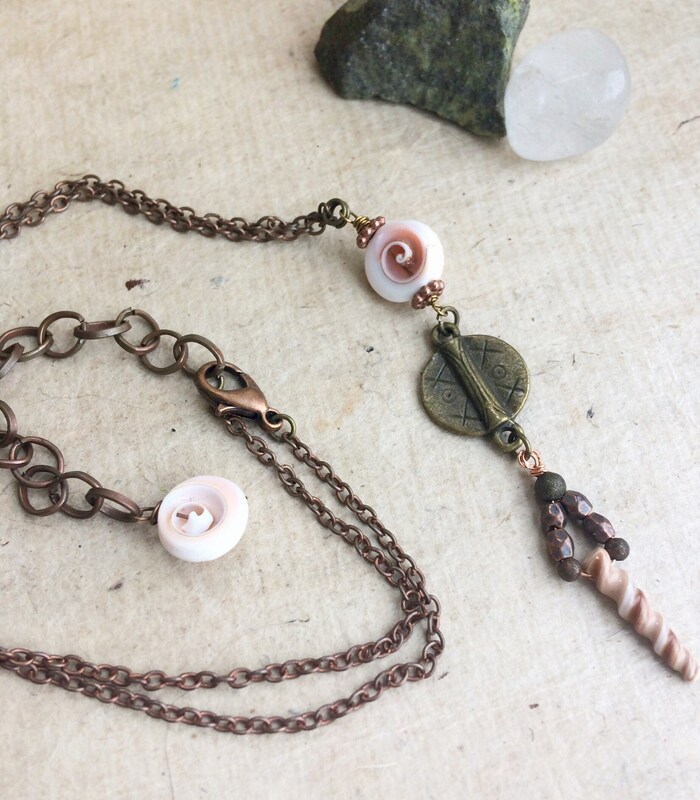 This is finished with a matching spiral shell bead. 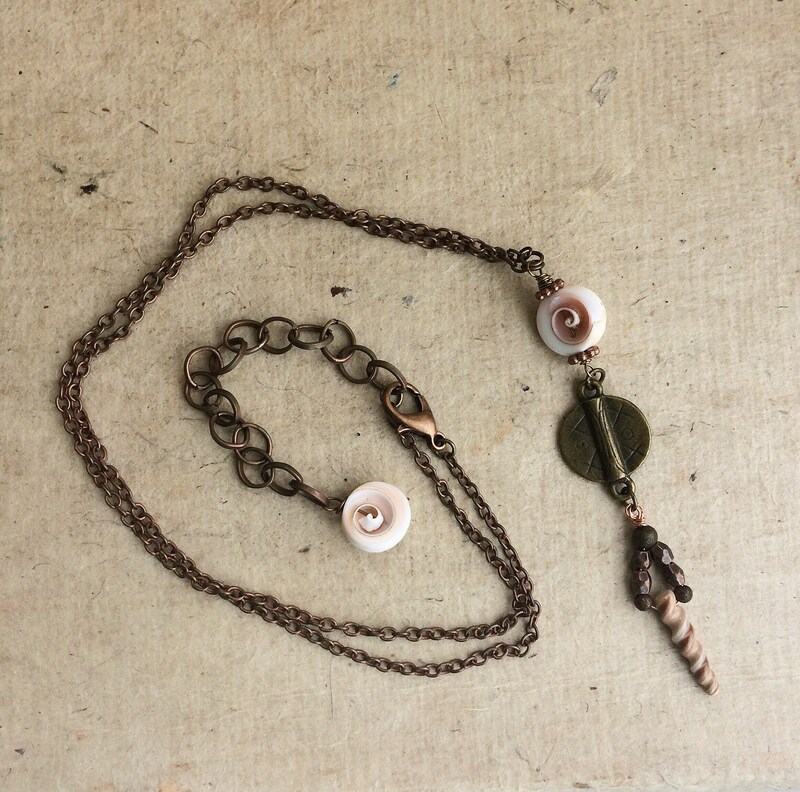 It fastens with a 12mm antique copper lobster clasp. 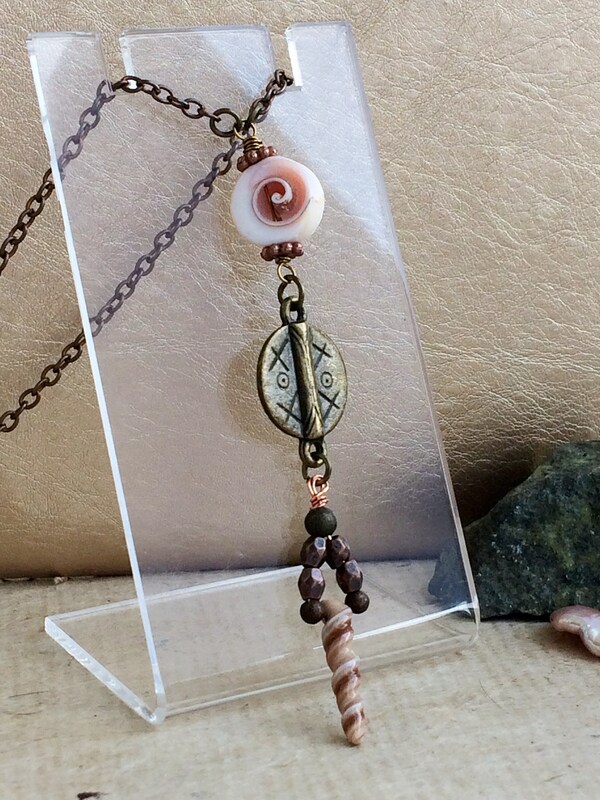 The pendant drop comprises two genuine shell beads, a spiral drop (2cm long) and a round 11mm spiral. 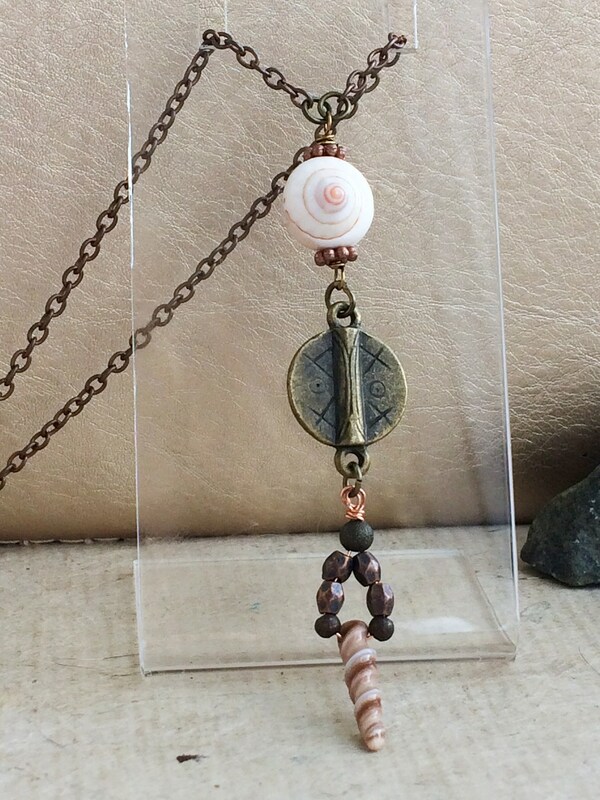 This has both a front and back intricate spiral shell and you can wear it either way. These are complimented by a rustic tribal pendant in a antique gold colour (2cm long). 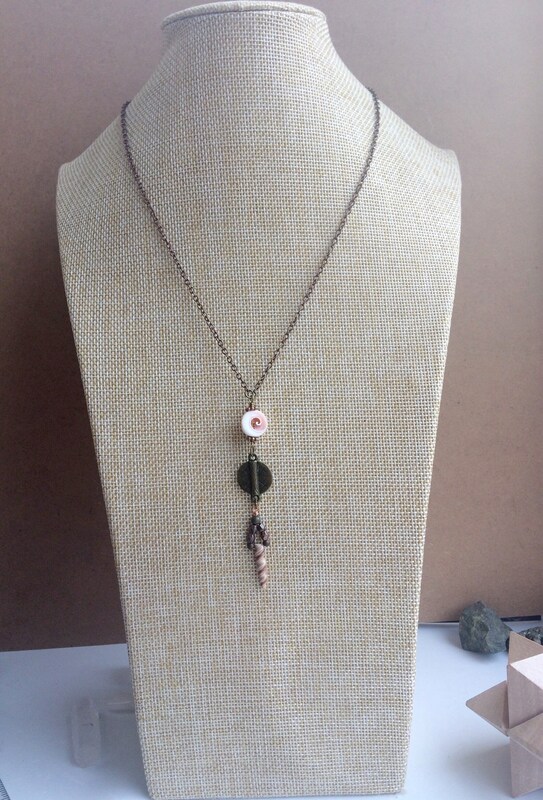 There are also mixed metal, including rose gold and copper, findings. This means the complete pendant is 8.2cm long.